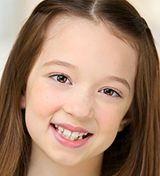 Nicole Scimeca Joins Netflix Series “Messiah,” and Pictures from the Kids of THE SOUND OF MUSIC, SCHOOL OF ROCK, and THE KING AND I! 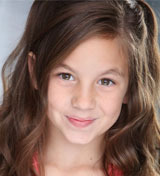 Congratulations to Nicole Scimeca (How the Grinch Stole Christmas), who has been cast in the upcoming Netflix series “Messiah”! Find out more on Deadline.com. And here are pictures from the kids of The Sound of Music, School of Rock, and The King and I! Happy Birthday to KOT Founder Lindsay, Phoebe Koyabe Joins DEAR EVAN HANSEN, Ethan Steiner Joins THE KING AND I, and more! Happy Birthday to Kids on Tour founder Lindsay! We hope you had a great day! Phoebe Koyabe will play Alana in Dear Evan Hansen on tour! Get more info at BroadwayWorld.com! Alum Ethan Steiner (Newsies) will join The King and I as a swing! The full list of Falsettos tour dates have been announced! Find out where the tour is going at BroadwayWorld.com! Check out these pictures from the kids of On Your Feet, The Sound of Music, The Lion King, School of Rock, and The King and I! THE SOUND OF MUSIC Cast Changes, Pictures and Video From WAITRESS, and more! 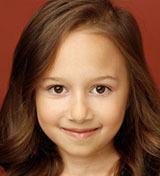 Happy Trails to Sophia Massa (The Sound of Music)! We can’t wait to see what you do next! 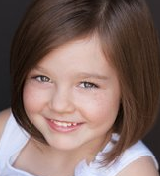 Katie Wylie (The Sound of Music) will now play Gretl though the remainder of the tour and Mia Grace Davila (The Sound of Music) has returned as a swing! Check out these pictures and videos from the kids of School of Rock, Waitress, The Sound of Music, The Lion King, and On Your Feet! SCHOOL OF ROCK Kids Interviewed on Onstage Blog and at Press Day, Pictures From SCHOOL OF ROCK, and more! The kids of School of Rock were interviewed by Onstage Blog! Check it out at OnstageBlog.com! 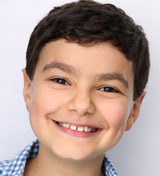 Jack Suarez Kimmel and Jesse Sparks (School of Rock) were interviewed on press day! Check out the video below! Check out these pictures and videos from the kids of Waitress, School of Rock, The Lion King, The King and I, On Your Feet, and The Sound of Music!